The purpose and scope of the evaluation needs to be considered when determining the budget. The amount of resources available may influence the level of an evaluation’s rigor or the certainty of its findings. The importance of the program, existing knowledge about the program from previous evaluations and the decisions to which the evaluation will contribute are important factors to consider. Very often the available resources (time, money and expertise) will restrict the scope of the evaluation (the number of questions, size of the sample, data collection and analysis options) or influence the choice of evaluation designs. Some organizations have a policy of setting aside a certain percentage of the total program budget for evaluation. Organizations often use a “rule of thumb” to specify considerations in making a budget estimate. Common budget estimates range between 5 – 20% of program costs. When commissioning an evaluation it is wise to start the budgeting process by consulting with the budget, procurement and/or human resource offices within the organization in order to verify and understand budget process, rules, and stipulations. Engage project staff, stakeholders, and M&E staff or professionals to ensure that the budget is comprehensive and accurate. The process of developing an evaluation budget may be an excellent opportunity to encourage stakeholders to agree on the value of the evaluation and the amount and type of resources necessary to support it. Sometimes after intended users are engaged and the evaluation purpose and questions decided there is scope to add additional resources in order to undertake the type of evaluation that is required. Budgets are just as critical for planning an internal evaluation as an external one. Although an internal evaluation draws primarily from resources within the organization, getting agreement on available resources will ensure the evaluation runs much more smoothly. For example, staff may be more flexible than consultants, but developing an accurate calculation of staff time costs early in the process helps to enlist their commitment. Evaluation budget matrix: creating a budget using an evaluation budget matrix. Evaluation costing: calculating the costs of an evaluation including time, money and expertise. Resources stocktake: stocktaking resources for an evaluation which can include people’s time and expertise, equipment and funding. Designated staff time for evaluation: At the proposal or planning stage, ensuring that staff have time to conduct, participate in or reflect on the results of evaluations as part of organizational learning. Grant funding for evaluation: Writing evaluation in to grants and / or writing a separate grant to request funding for an evaluation. Work with universities to staff the evaluation: collaborating with a local university, research institute, or think tank to conduct your evaluation. Institutionalised budget allocation: uses the rule of thumb approach to estimate the percentage of project funds to spend on evaluation. Leveraging partnerships: Many projects are undertaken by a consortium of organizations working together. 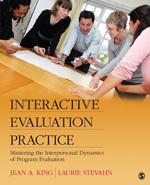 Consider approaching your implementing partners to pool resources and carry out the evaluation jointly. Strategies to reduce costs: reducing the costs is an option to consider if evaluation costs outweigh the predicted benefits.